Work where you live. Live where you work. Experience Synergy! 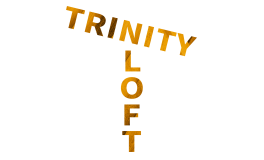 Discover Trinity Loft Apartments near downtown Dallas, TX – an urban getaway for the driven entrepreneur! Our work-live lofts in Dallas are the ideal retreat for those who appreciate a comfortable, modern home that doubles as a workspace for your personal business. You’ll be part of a unique community sharing the same independent spirit and thriving in pursuit of your entrepreneurial ambitions. Enjoy living in a strategic location that is highly centralized and flourishing with an exciting and eclectic urban appeal. We’re located near downtown Dallas with quick access to I-35, I30, Dallas North Tollway, and Hwy 183 so you can reach your professional and social destinations conveniently. We’re walking distance from world-class entertainment like Victory Park, Katy Trail, and the American Airlines Center. Live in our highly sought-after apartment lofts in Dallas, TX and enjoy the exciting downtown life! We offer twenty-two different floor plans that are outfitted with the latest in design and comfort. Enjoy breathtaking vistas right outside your window and indulge in our extensive use of brushed nickel finishes, wood floors, stainless appliances, and much more! In addition, you’ll have exclusive access to our many thoughtful community amenities including our fully equipped fitness center, fenced-in dog park, resident conference/media room, rooftop lounging with skyline views, and more! We’ve carefully designed our apartment community to maximize your opportunities for success. Give us a call and let us help you with your moving plans today! Go here to see our Google reviews.